Berta Cáceres (March 4, 1971-March 3, 2016) was a Honduran environmental activist and leader of the indigenous Lenca people there. She led a decade long internationally-waged battle to stop a dam being built on the Gualcarque River, a body of water which is sacred to the Lenca. Sadly, on March 3 of this year, armed intruders broke into Cáceres’ home and murdered her. Environmental Committee is committed to reducing possible damage caused by the work of the state while continually working to find ways to improve the environment. 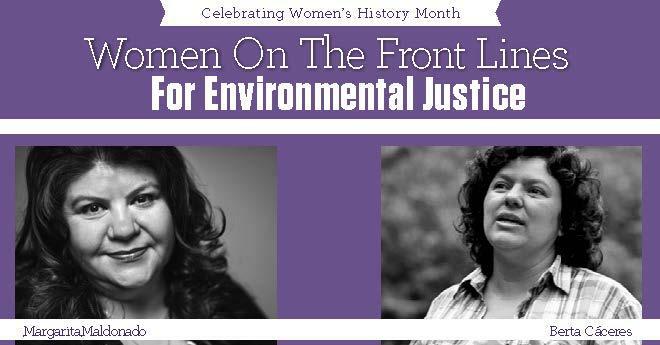 For Maldonado, the work of the union is inextricably tied to protecting the natural world—and making sure marginalized communities are not targeted for pollution and resource depletion.